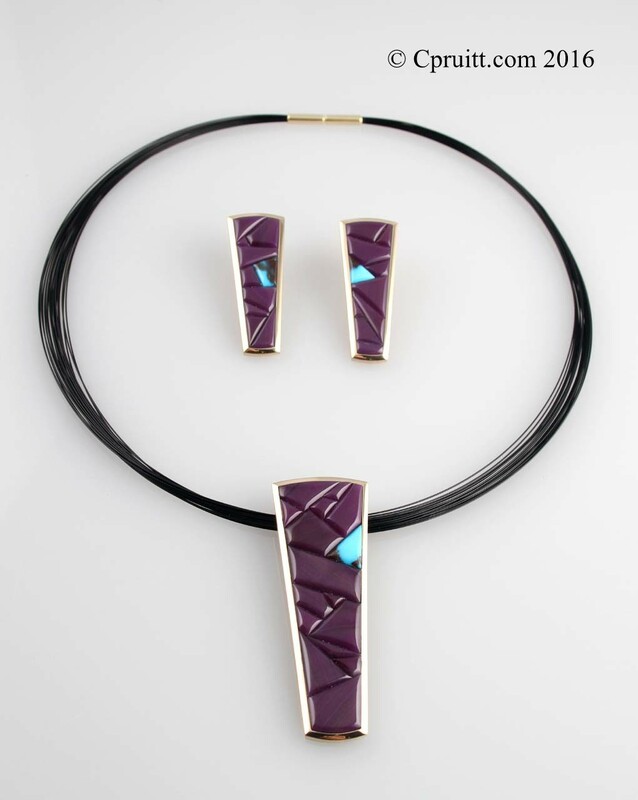 Wonderful 14k and Sugilite set with a hint of turquoise. 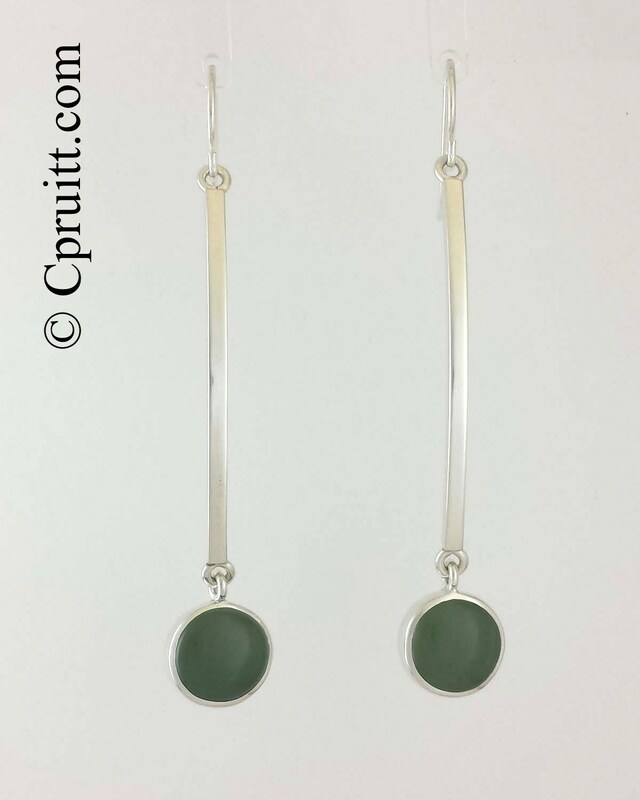 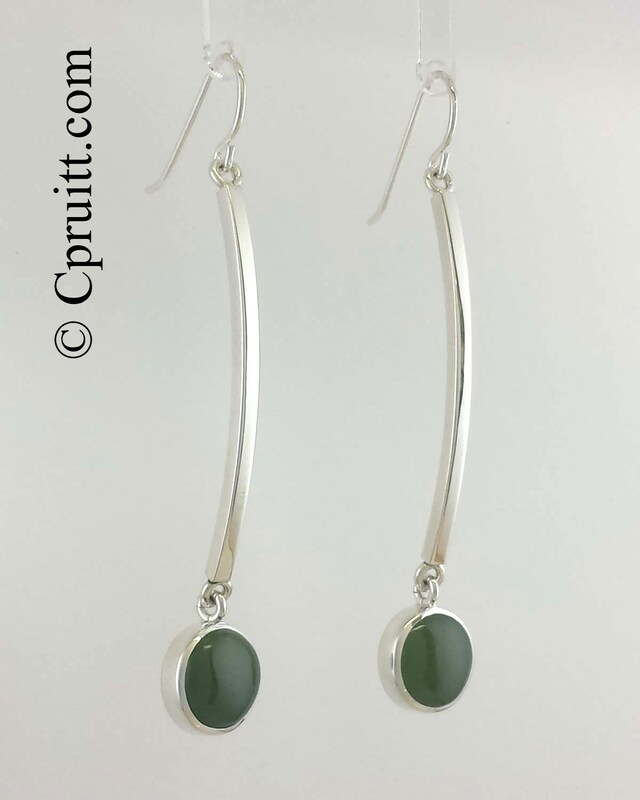 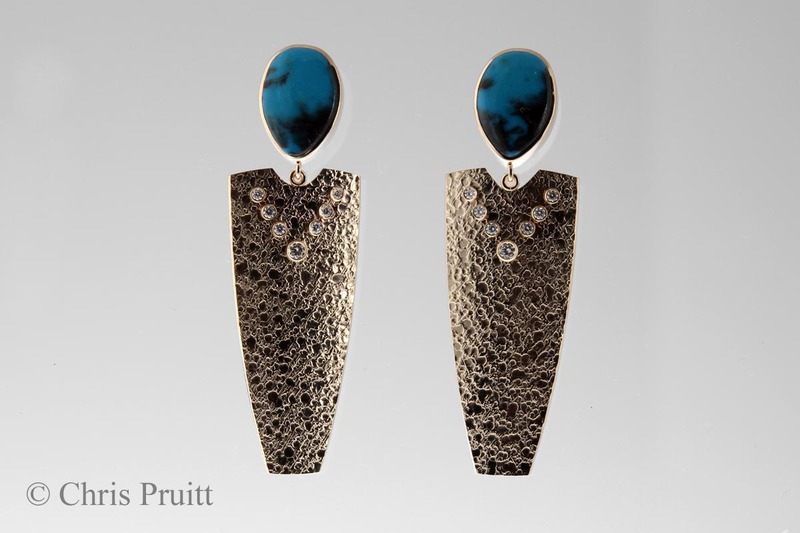 14k Montana Agate Earrings with textured circles. 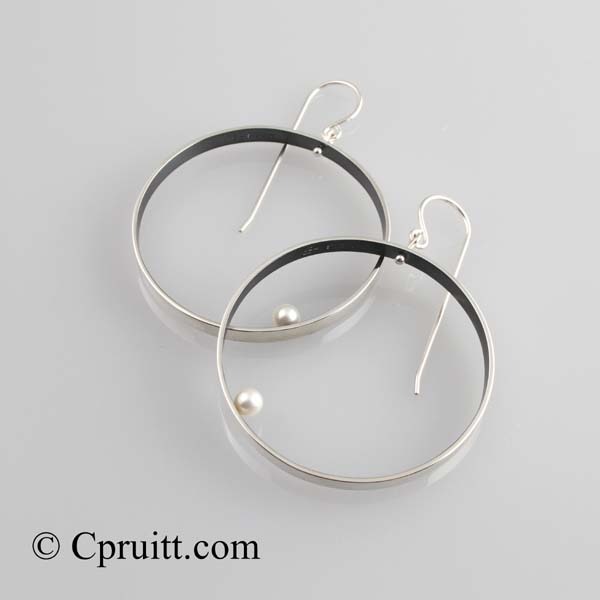 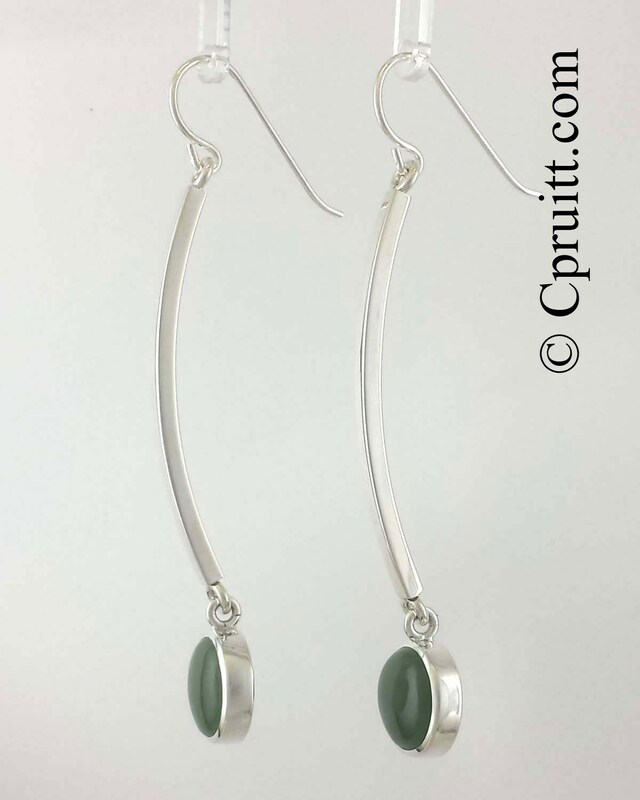 Order your pair in my Online Store other pearl colors available. 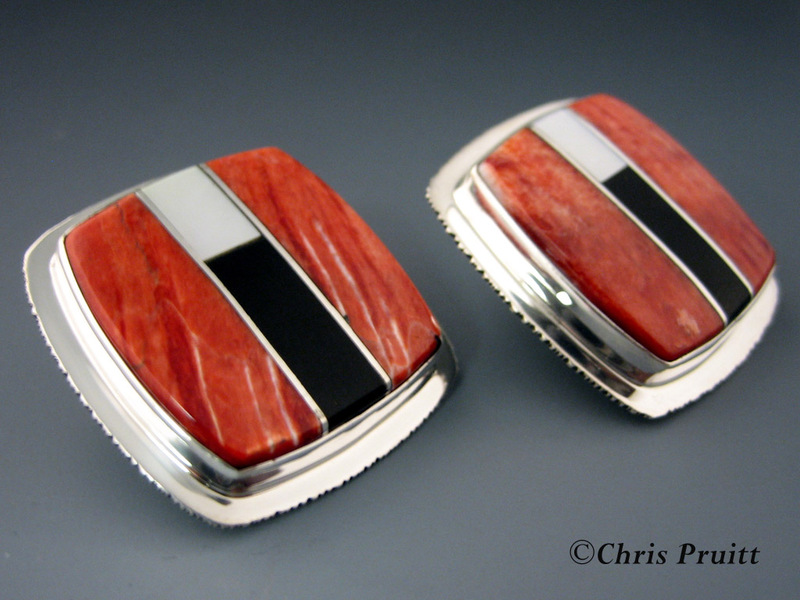 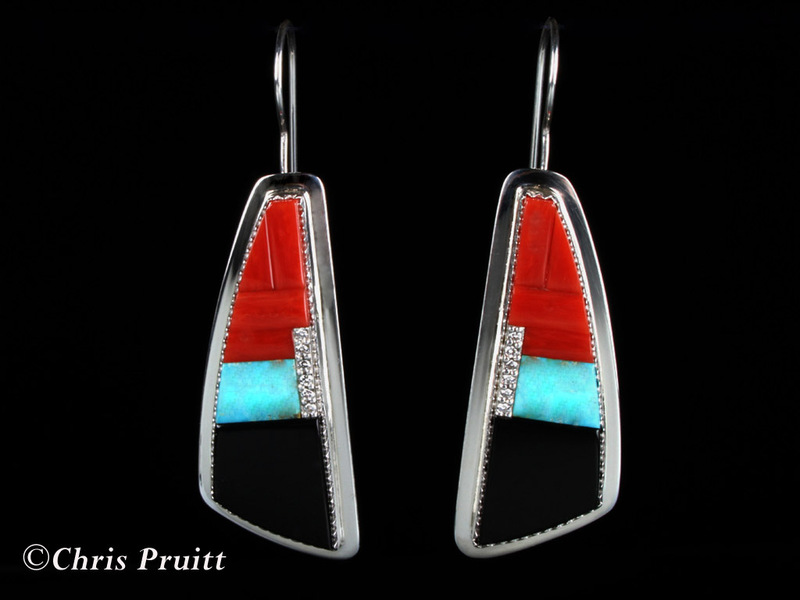 Sterling silver earrings with gypsy set diamods and coral inlay.. 2nd place at 2011 Eiteljorg Museum Indian Market and Festival. 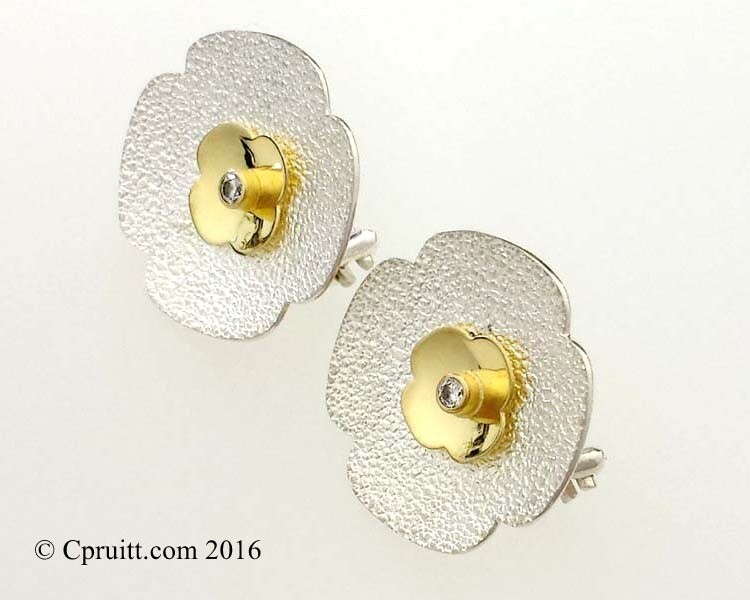 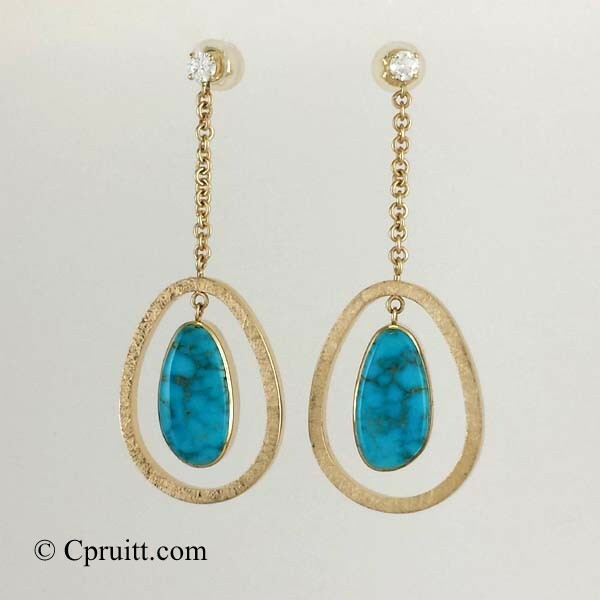 Oval Dangle Diamond Earrings, 18k Gold bezel set diamonds. 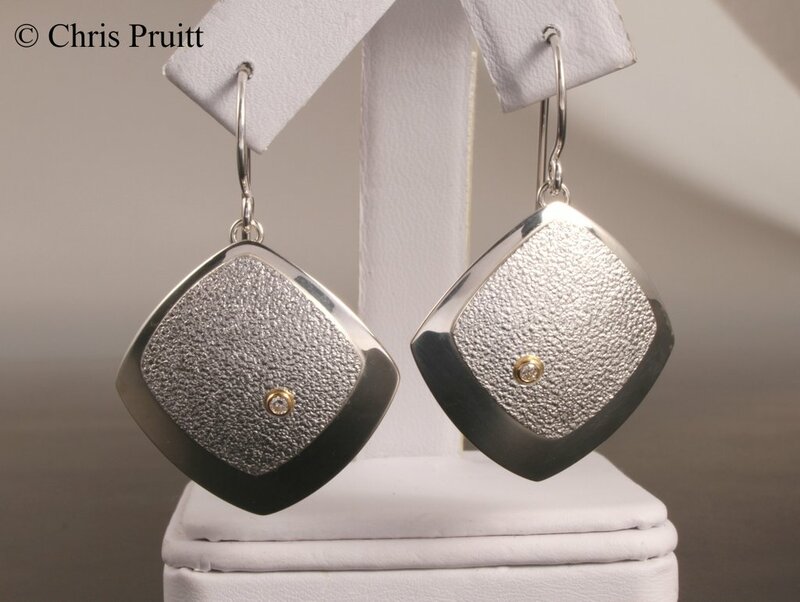 Square Dangle Diamond Earrings, 18k Gold bezel set diamonds. 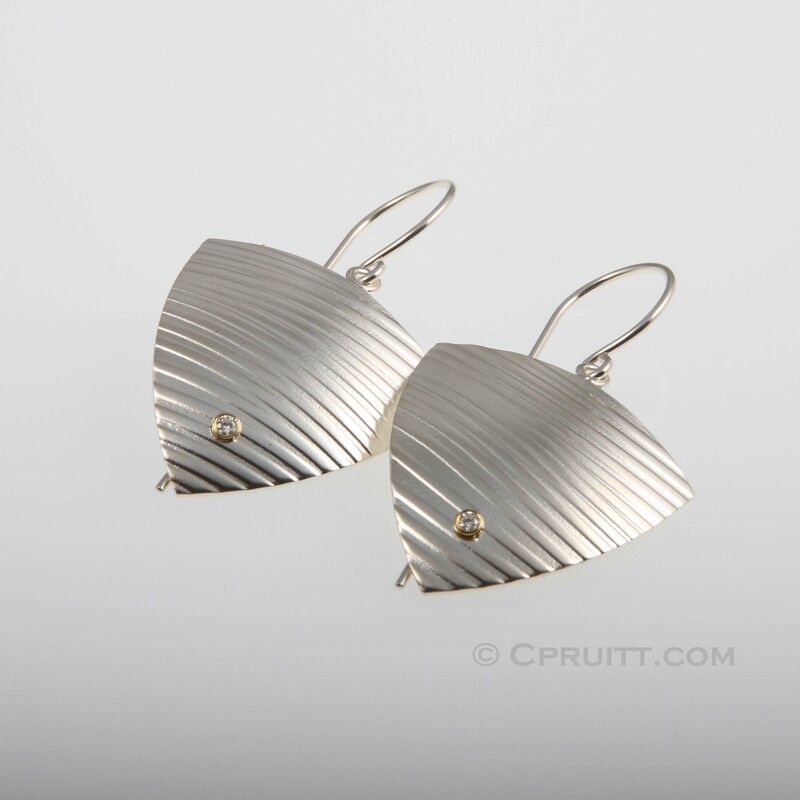 Dangle Diamond Earrings, 18k Gold bezel set diamonds. 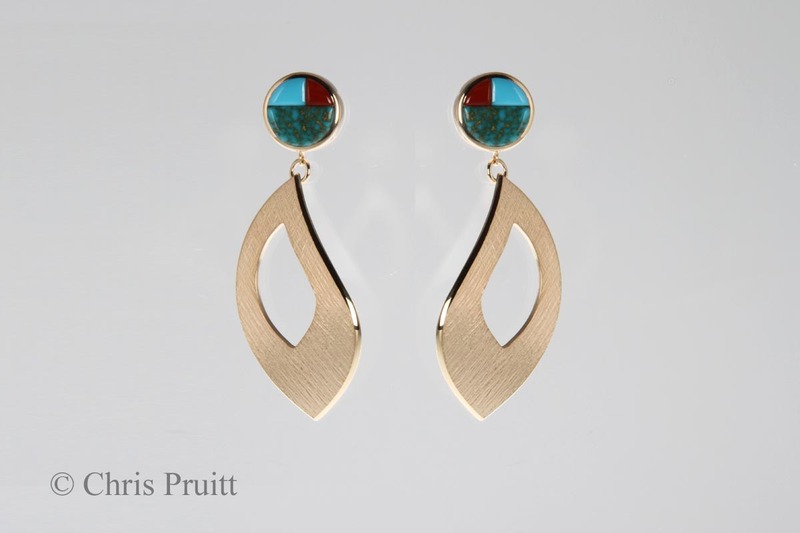 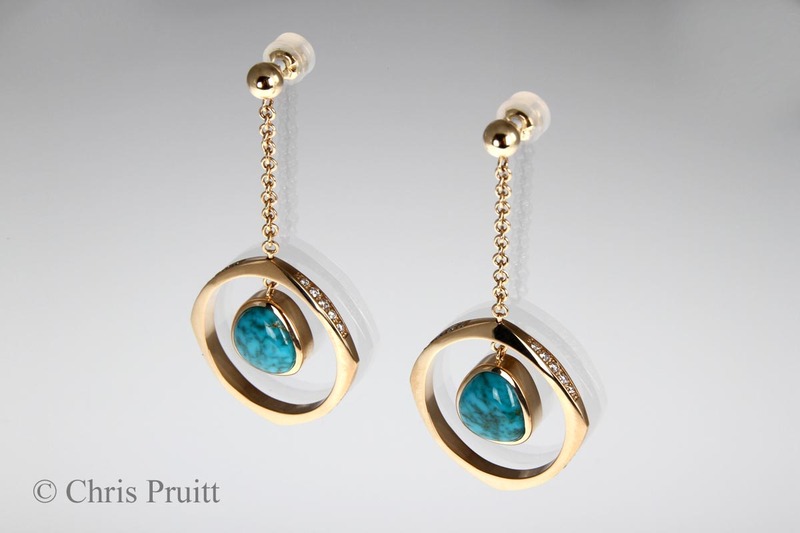 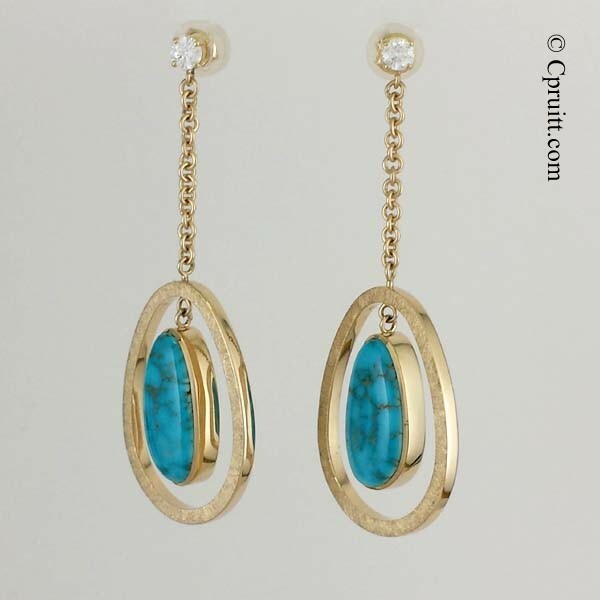 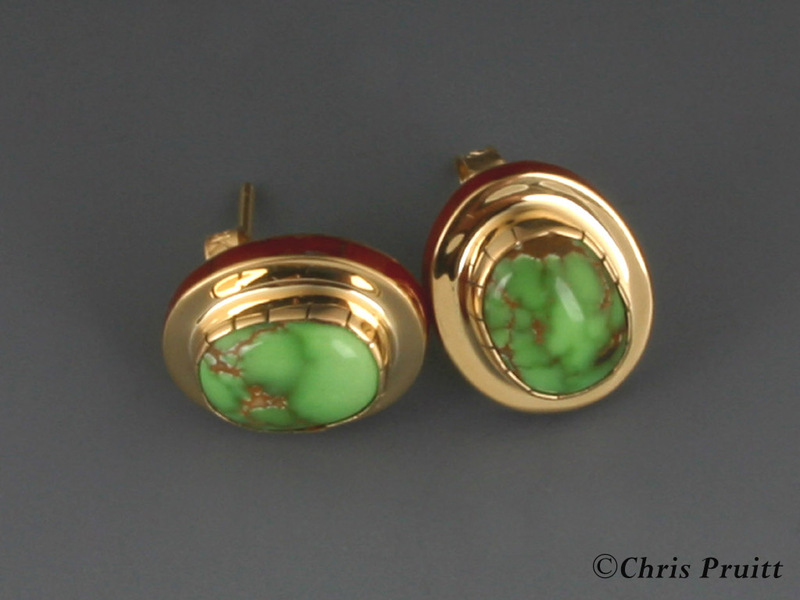 18k gold earrings with Cirico Lake Turquoise and coral inlay. 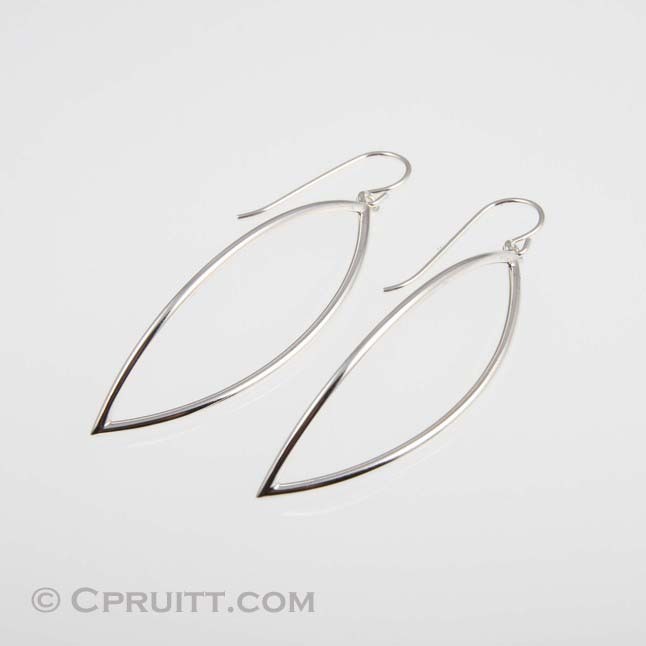 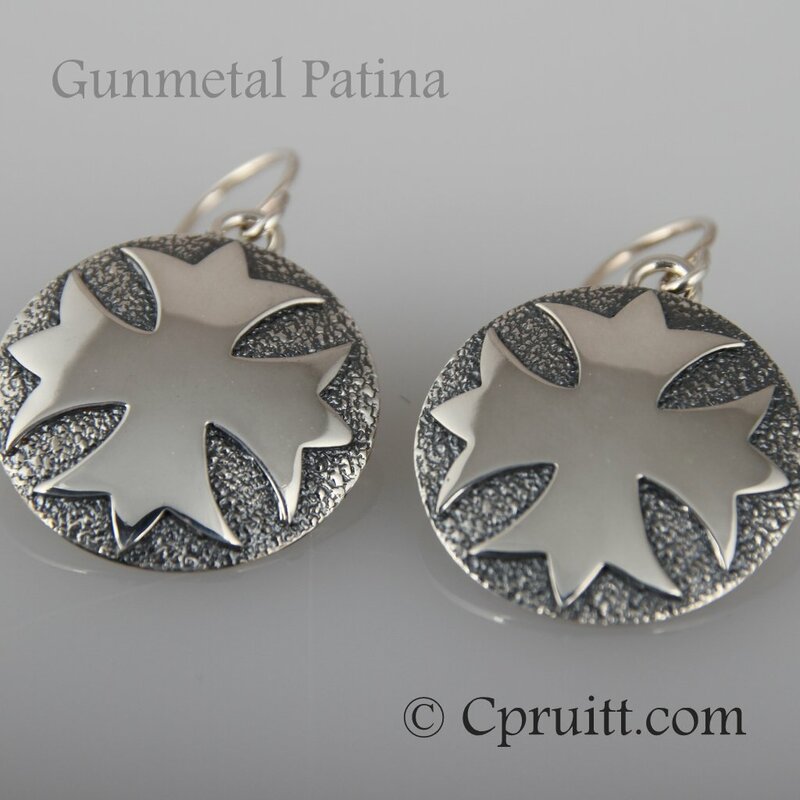 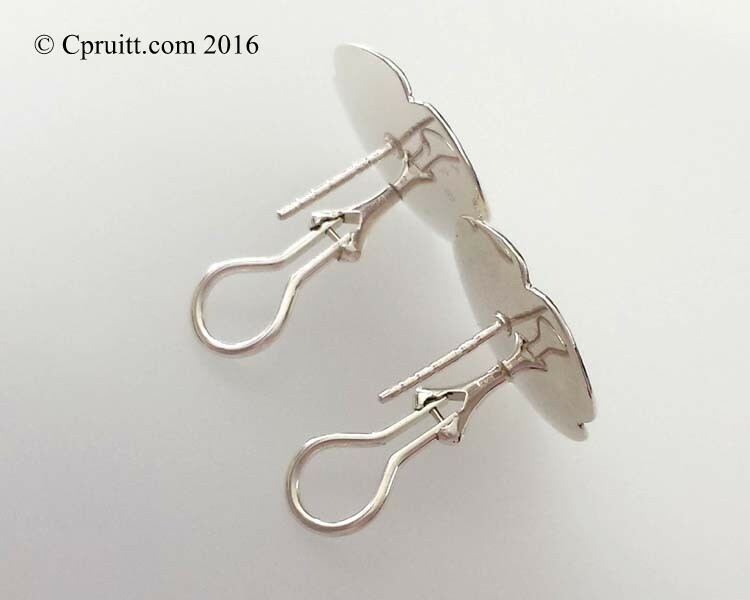 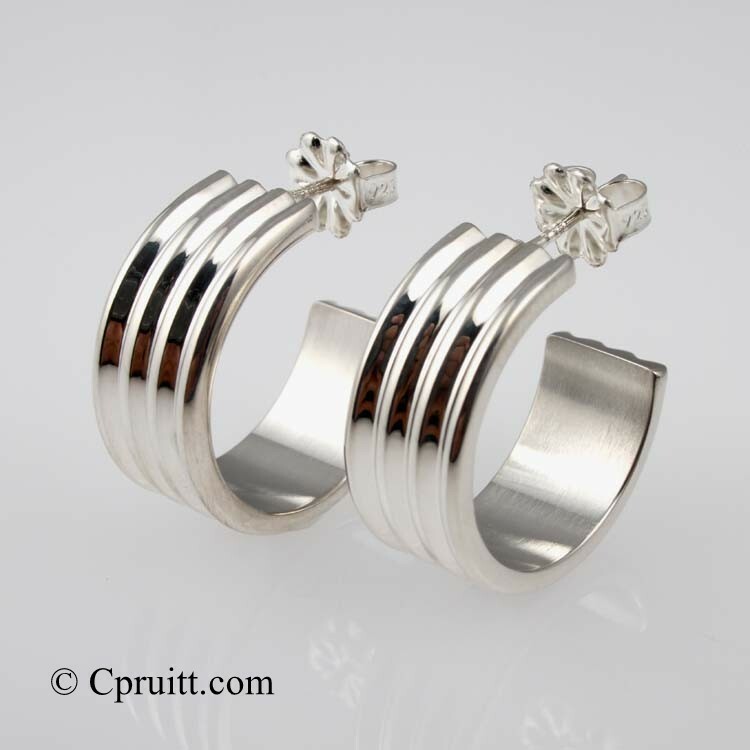 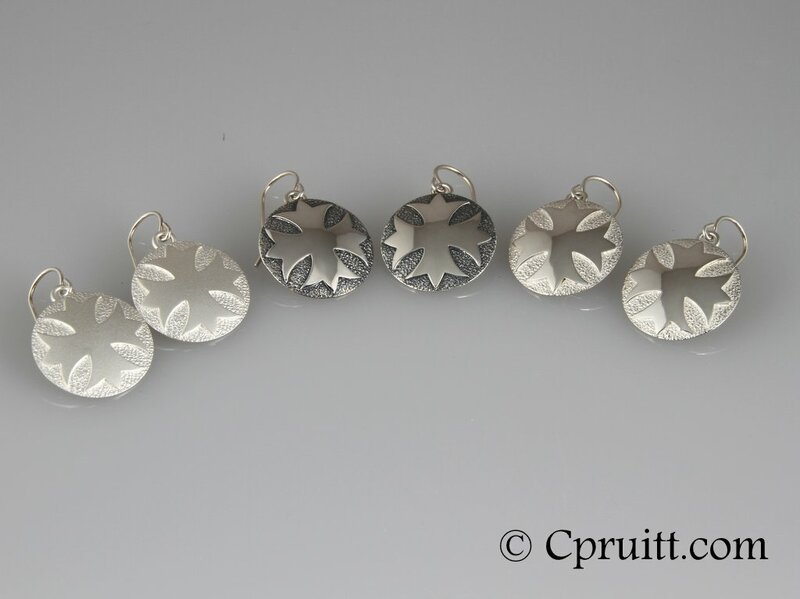 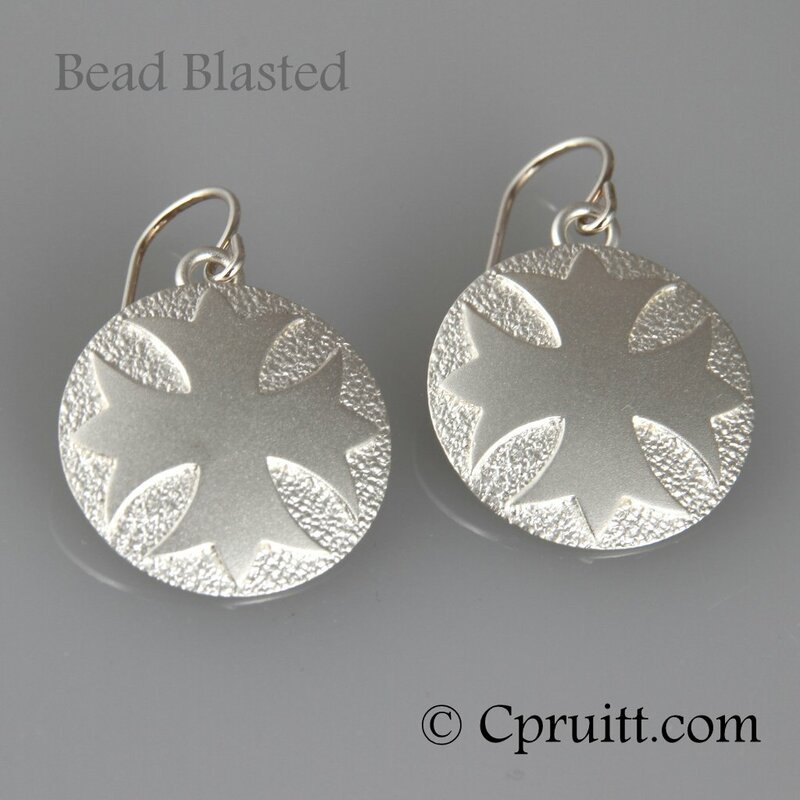 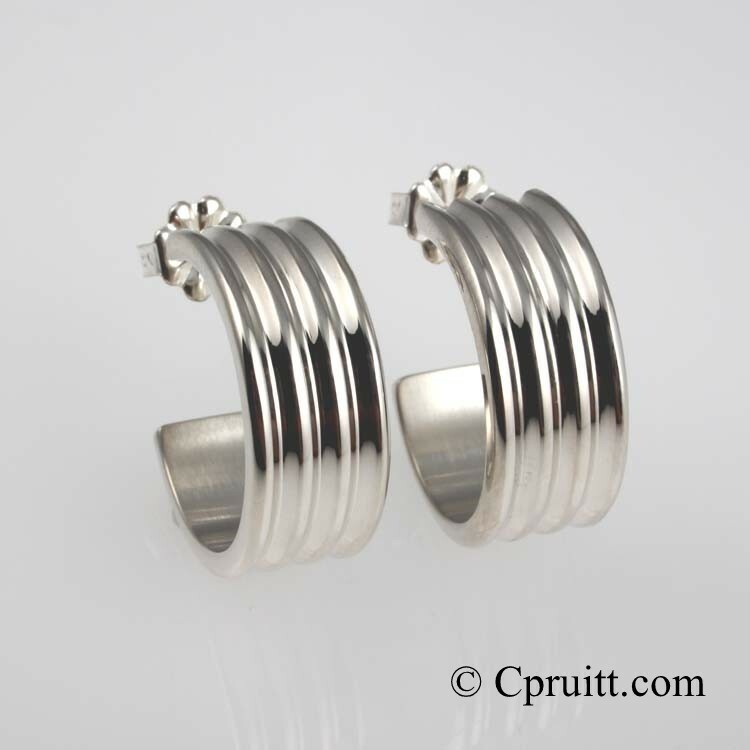 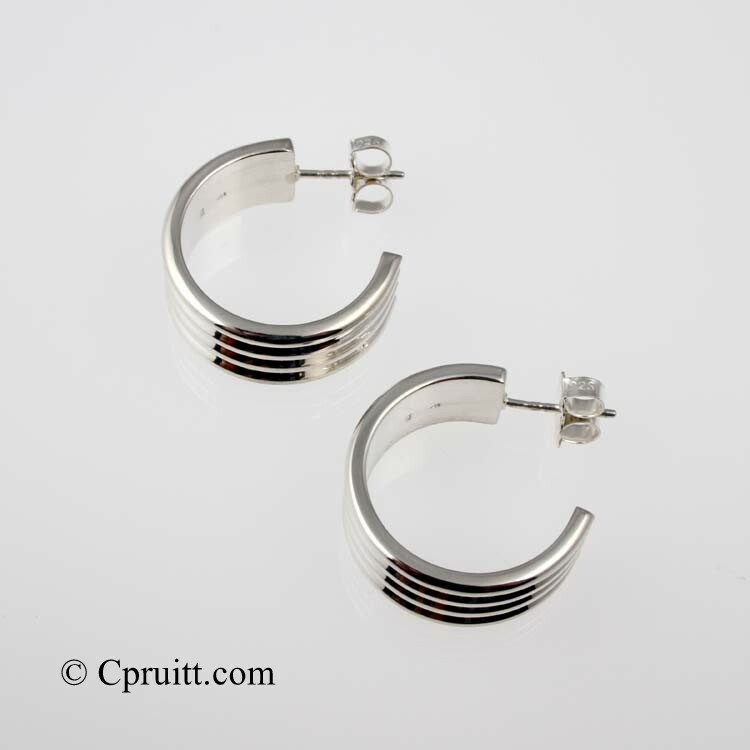 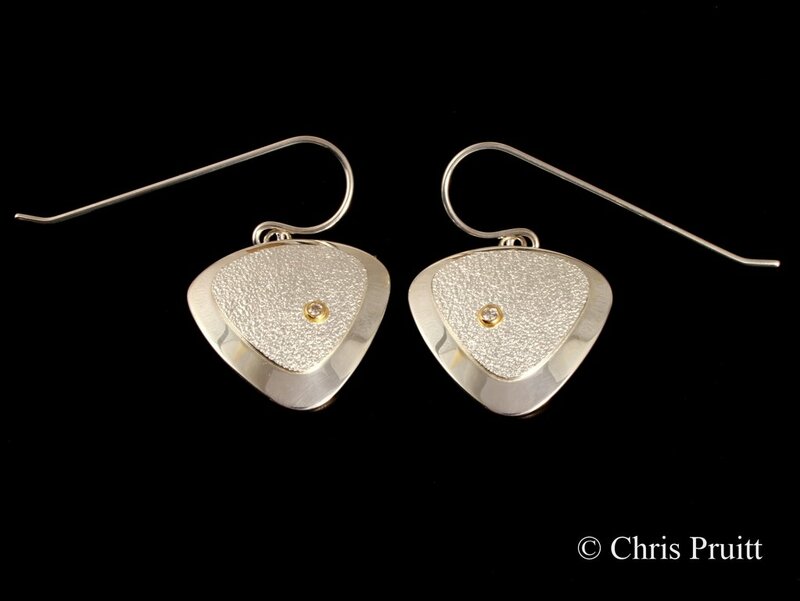 Hollow sterling silver earrings with gypsy set diamonds. 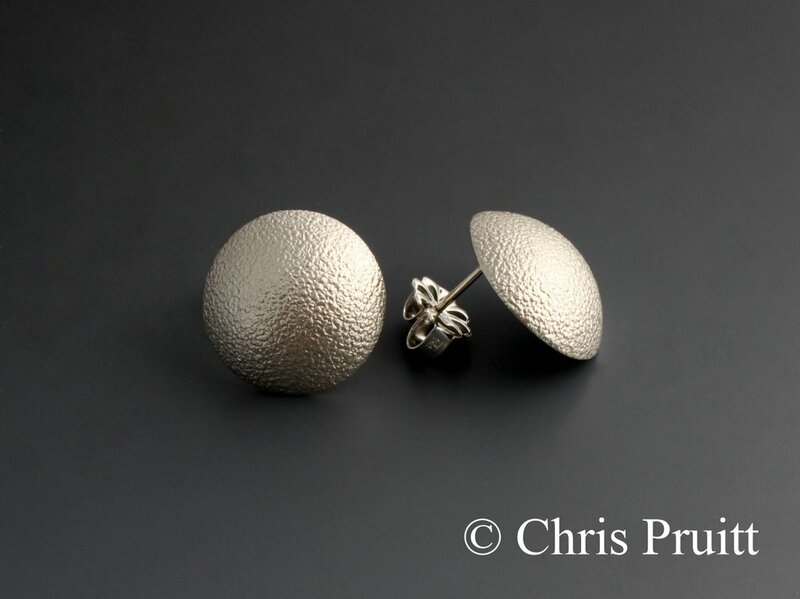 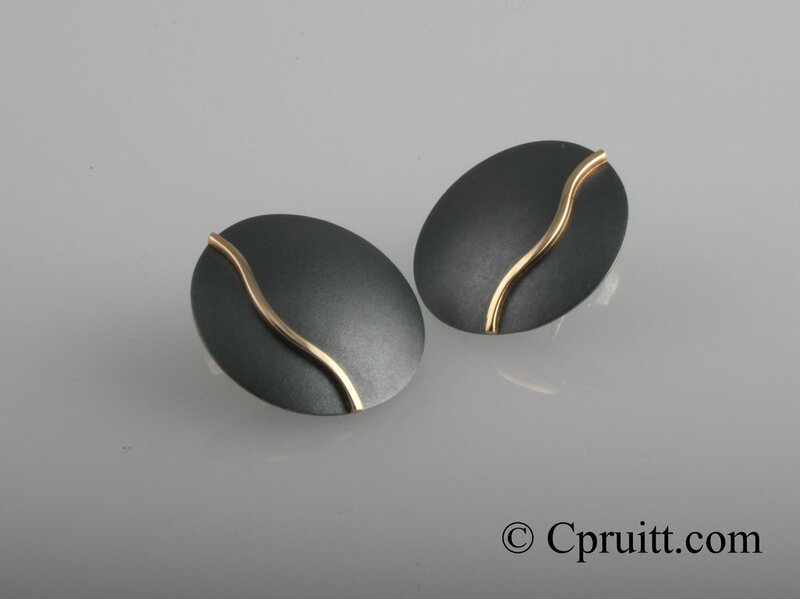 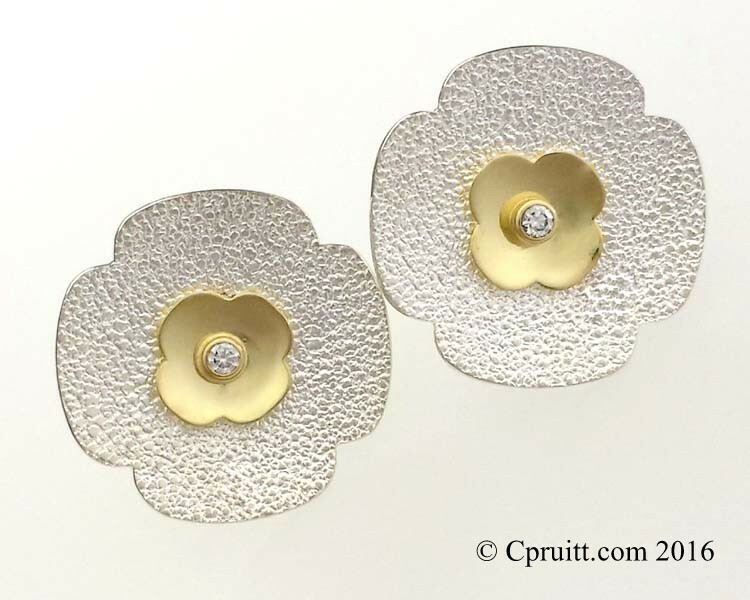 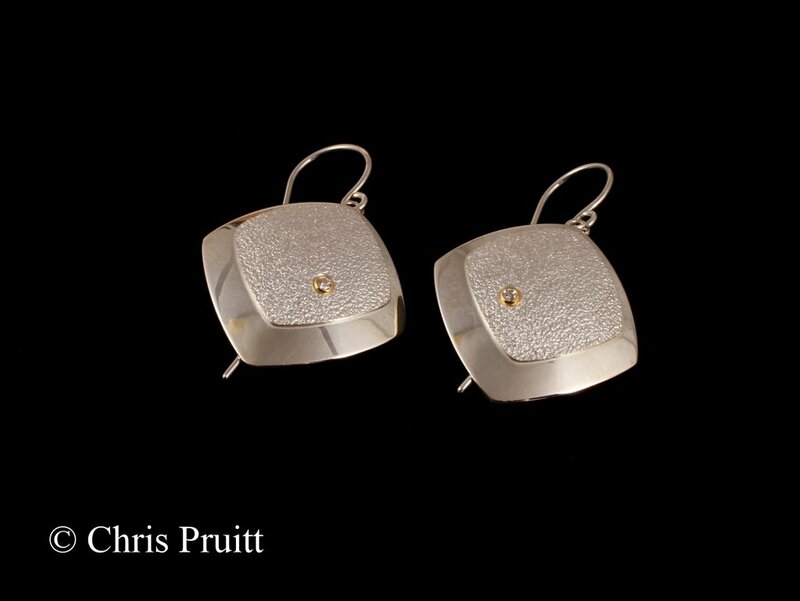 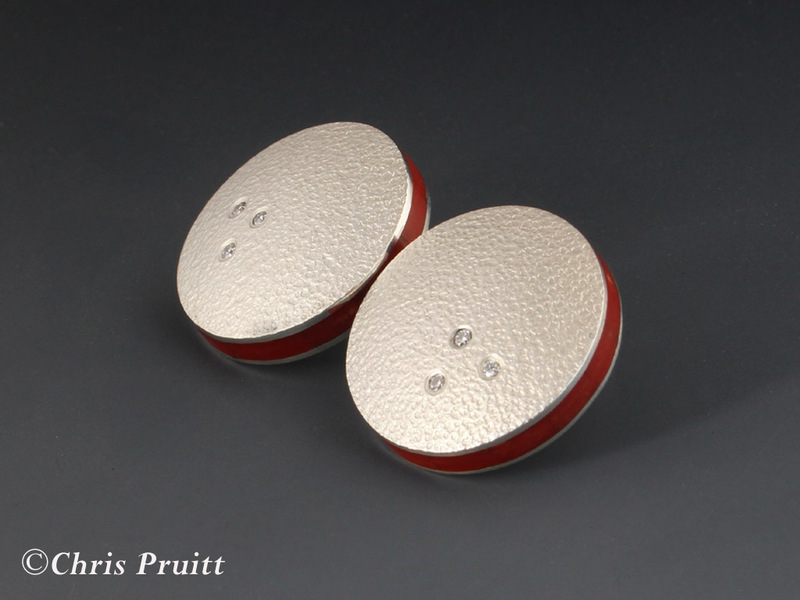 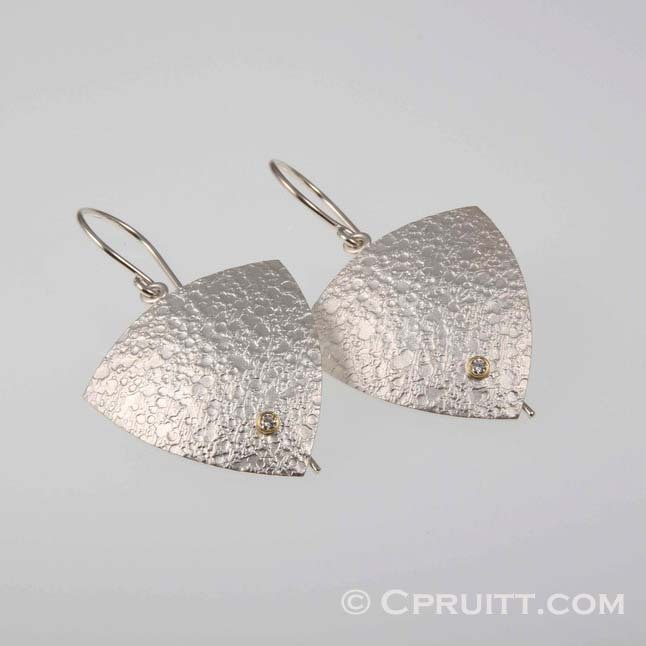 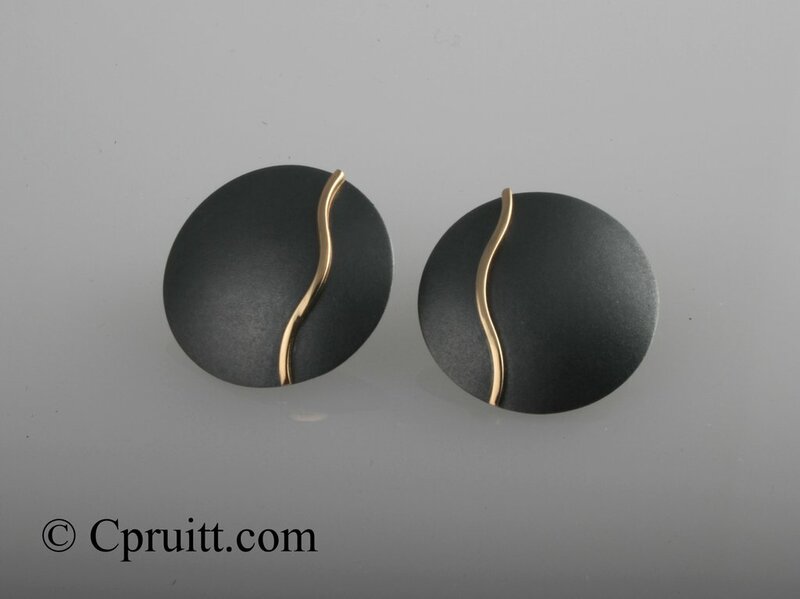 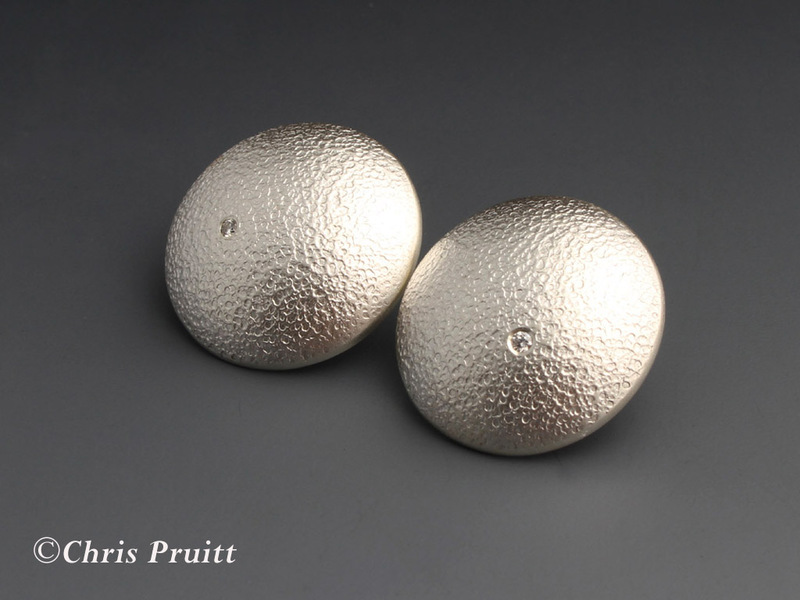 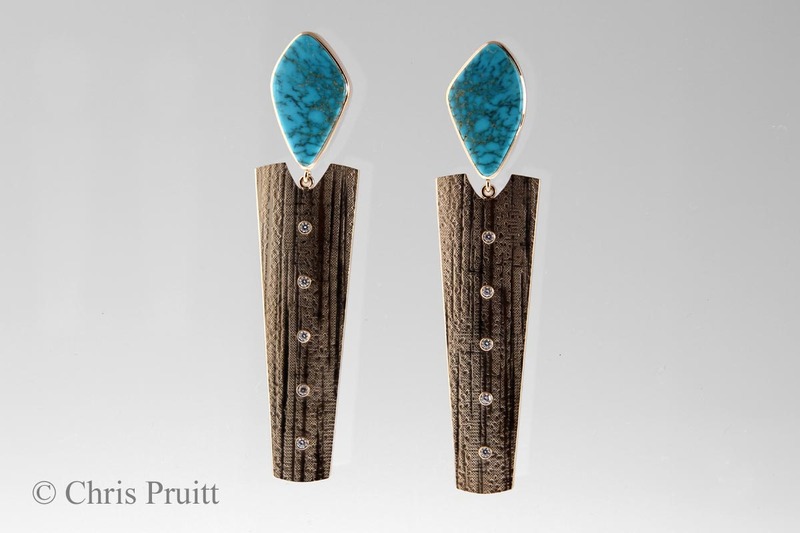 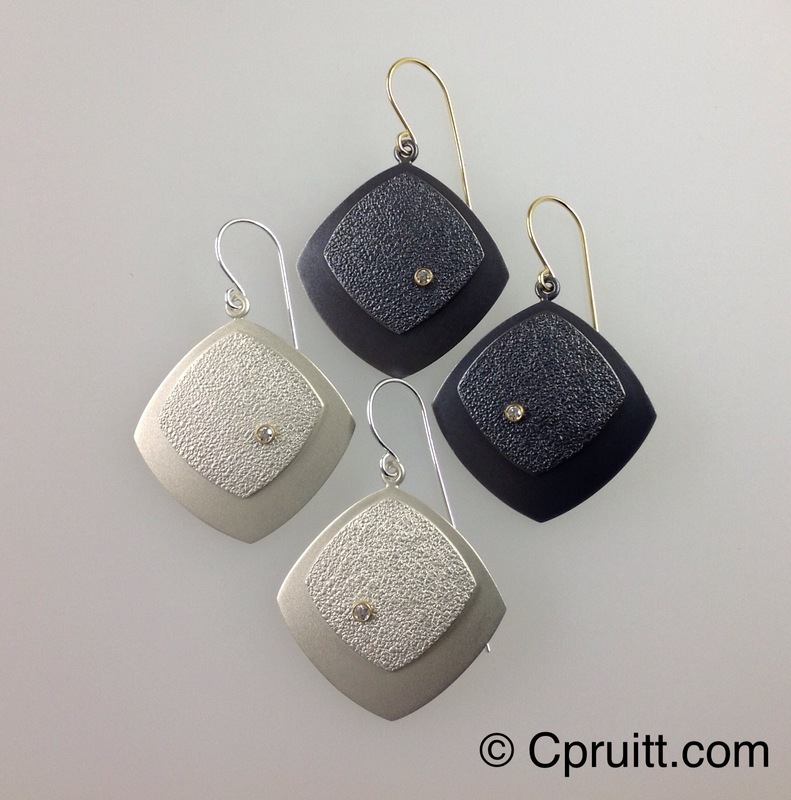 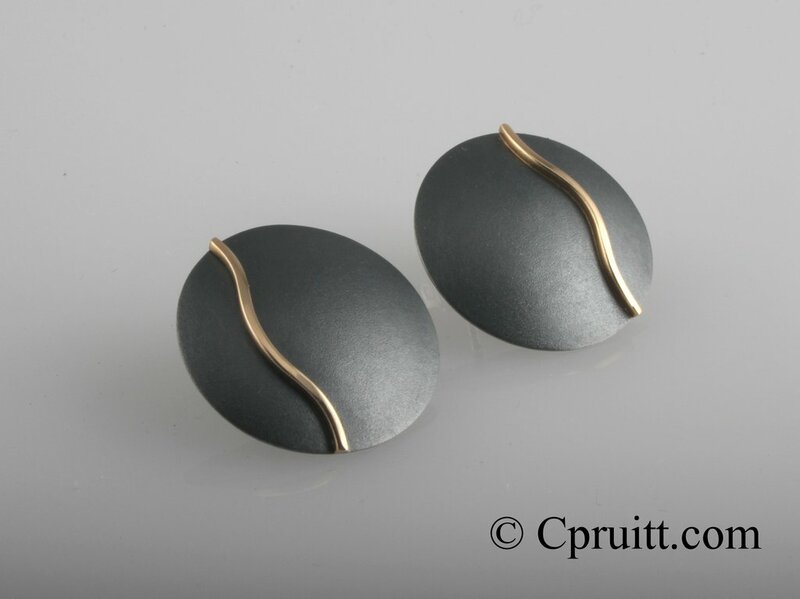 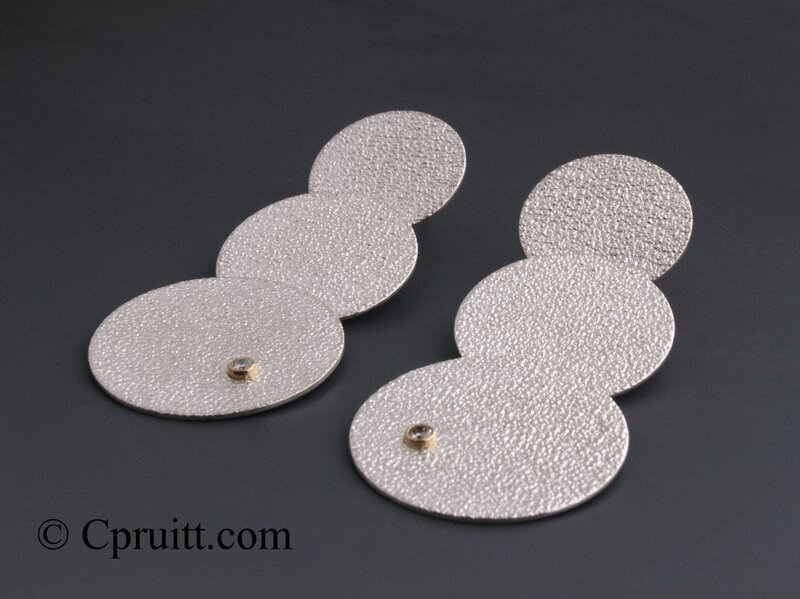 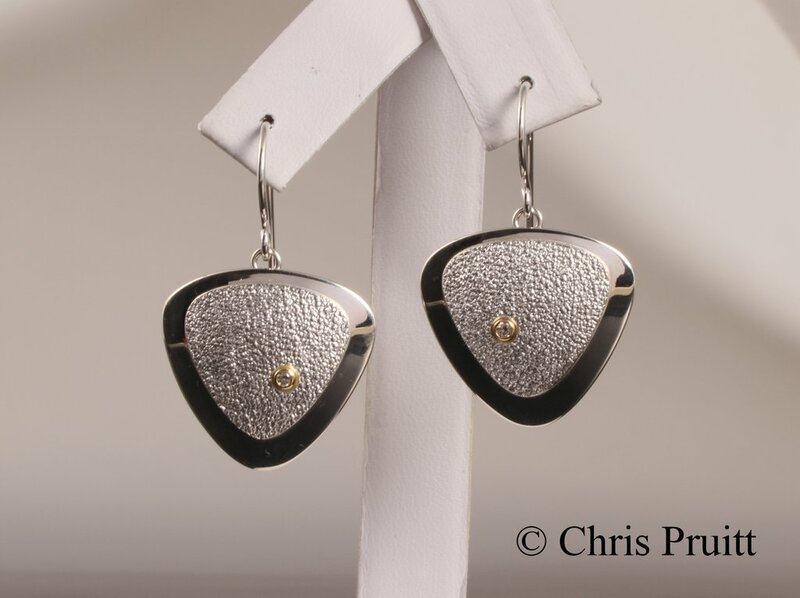 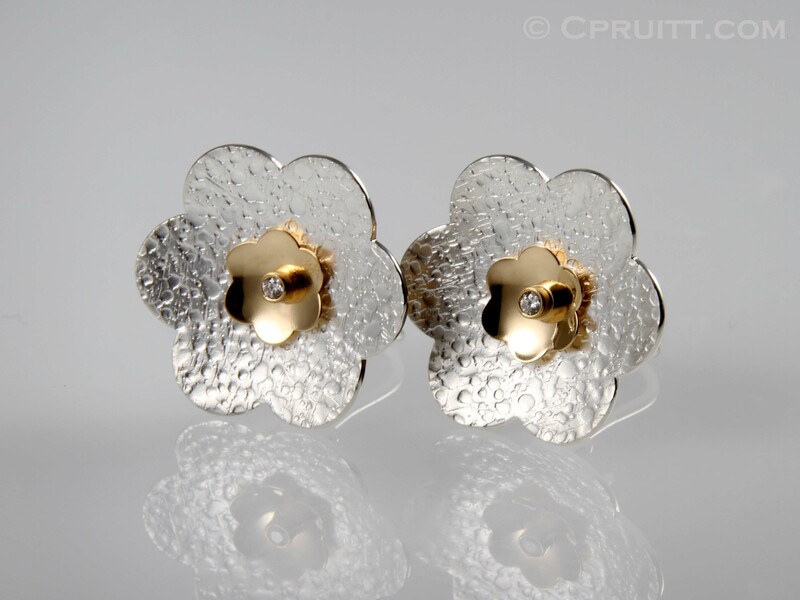 Swinging, Textured Earrings with 18k gold cups and Diamonds..
Inlay earrings: Spiney Oyster, Fossilized Ivory and Jet. 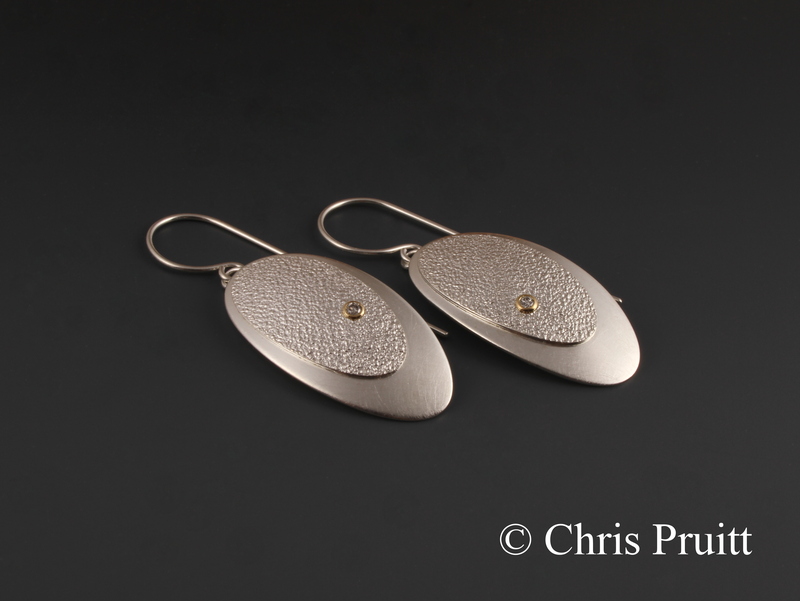 Early example of my work..